I saw Orlando today. He looked great. Happy. Vibrant. Gracious. He was Orlando as I knew him. It was beautiful to see my friend again. Though he had visited multiple times per week during the previous month, it had been too long since I had seen the real Orlando. Just a month ago, he sat in our office devoid of life. His eyes were sunken and red, sorrow and fear dominating his emotions. This was not Orlando. It was obvious he hadn’t eaten or slept well in days. As we listened to him speak about the struggles facing his family and community, the worry in his voice was evident. He needed help. It was at that point we realized the situation in Chimizal was becoming desperate and that, if we didn’t intervene, no one would. After our conversation, Orlando made the hour-long trek back up the mountain from La Unión to Chimizal. He collapsed en route under the mid-day sun. It had taken his last ounce of strength to reach out one more time to his final hope for help. Orlando’s reality was but one among far too many desperate situations in the villages surrounding La Unión in the weeks following the hailstorm of April 2, 2012. The resulting food crisis pushed these people, already living on the margins, over the edge. No matter how hard they worked, the huge obstacles they faced could not be overcome. Fortunately for Orlando and the people of Chimizal, San Agustín, and Lepagual, a community of people led by Michelle Noordhof, METAD, and their donors embraced these villages and saw that they didn’t have to suffer, for there were those capable of offering a hand in their time of need. This group of people showed the humanity that is oftentimes elusive in our world. Their initiative made all the difference at this critical moment in the life of Orlando, and that will never be forgotten. Now there is again hope that better times may lie ahead. Fields are once again being tended, and the bean harvest is a mere 70 days away. The food aid that is being delivered will serve as a bridge through these tough times. 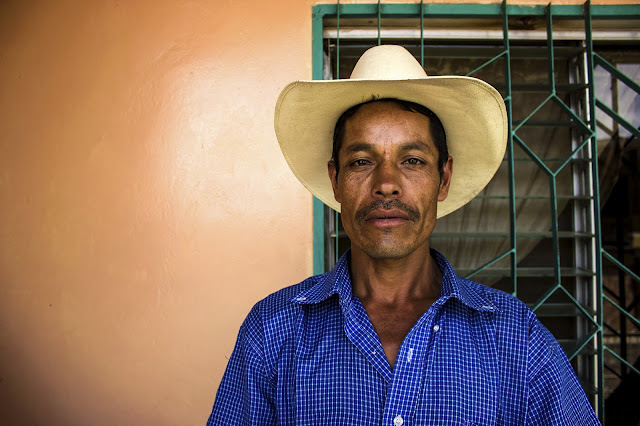 Though Orlando lives in poverty by any economic measure, he feels rich today, and it shows. Orlando is smiling again. Thank you to everyone who helped ease the suffering of a deserving people. It was truly appreciated in ways I am unable to express.